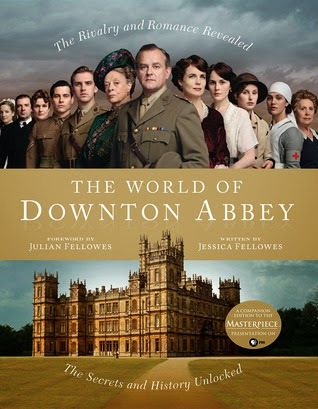 As a huge fan of the Downton Abbey TV series, I was thrilled to find this book beckoning to me from the library’s front desk display. It’s a lovely book with gorgeous photos and historical information about British life during the World War I era. It shows the contrasts between the wealthy Crawley family and the servants below stairs and goes into detail about the servants’ duties and the hierarchy within the staff. There are also tidbits about the people and places that inspired the series. There are sections devoted to family life, romance and marriage, house and furnishings, clothing styles, war, and the lives of the servants. The last section gives a glimpse behind the scenes – historical details, camera work, hairstyles and makeup, military uniforms and war scenes. At the end is a list of books for further reading. If you enjoy the series, this is an excellent companion book.